Freeware and Open Source Software’s are on every geeks heads these days, and its gonna grow as days pass by. We at Digital Conqurer use all the Freeware and Open Source Software’s to perform our day to day activity. Here, we list some Freeware and Open Source Portable Apps that you must have on your USB Flash Drive. Also, you can copy it to your USB Modem Micro SD Card Drive and feel free to plug and surf the internet where ever you want without leaving out any traces and history on the computer you use. We recommend you to have the following software on your portable drive plus you can get more online. 7-Zip is an alternative to WinZip and WinRAR archive managers. Its a Freeware and Open Source windows and Linux platform utility. It supports all the major compression archive along with the disk images. Its very small in size and reliable. The attachment in your mail are mostly archived and you will always need this tool on the go. Download 7-Zip Portable Version from here. AbiWord is an alternative to Microsoft Word and Open Office Word Reader. Its also an Freeware and Open Source Software for both Linux as well as Windows Platform. Its an Word Processing Program. You can open, edit, create, read and perform additional task on a word file using this program. Download AbiWord Portable Version form here. CCleaner is a Freeware Utility. It is used to clean the Computer History, Optimize Registry, also it is used to wipe out the free space on a drive. We recommend you to have this portable software on your flash drive as you will require many of its features while working on an alien computer on the go. Download CCleaner Portable Version from here. Mozilla Firefox is an Open Source Freeware Internet Browser. Who on the internet reading this article will be unknown of the features of Mozilla Firefox Internet Browser. The Portable version of Firefox will not leave any of your browsing history, download history, stored password, cache files, extensions, plugins on the computer you are using. All the Mozilla Firefox files and work in stored on your Drive. Download Mozilla Firefox Portable Version from here. Foxit Reader is an alternative to Sumatra PDF Reader, Adobe PDF Reader, etc PDF Document Reader. Foxit Reader is also Free and Open Source. You can also get the SDK for this reader and play around with it. Today, its the world of E-Books and mostly the E-Books found every are in the PDF Format. This tool will help you for your reading where ever you are. Download Foxit Reader Portable Version from here. KeePass is an Offline Password Manager. It Creates a Database for all your online accounts username and password. You can also store passwords for all your offline files inside this software. It is very secure, and requires a Key File along with a Mater Key to access the database created by you. You can store your KeePass database file on your Flash Drive and roam around freely by remembering just one password to access all your online and offline files and accounts. Download KeePass Portable Version from here. Notepad++ comes in the developers section. Also, this App is recommended for College Students and Bloggers plus Programmers. It give many extra features than the Default Text file Reader of your System. If you get used to this than you will find the default notepad very annoying and miss Notepad++ at times. So, have a Portable Version of Notepad++ than getting uncomfortable everywhere. Download Notepad++ Portable Version from here. AnVir Task Free is an alternative to Windows Task Managers and also have many added features. You will always need this tool to monitor every new system you will use in your way. Many a times you will come across systems which are infected by virus or their task manager is disabled or not working, and if you have this portable app then there you go without worrying handling the computer you are using in your way. AnVir Task Free Official Site. 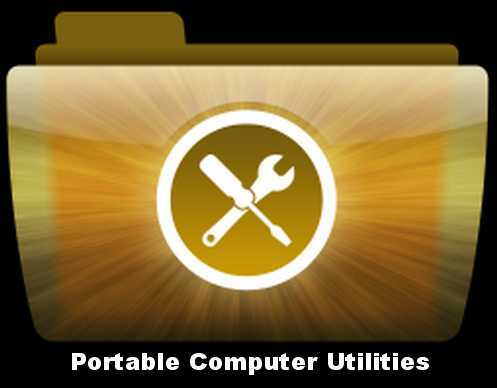 Download AnVir Task Free Portable Version from here. Thunderbird is an EMail Client from Mozilla. This is also Open Source and a Freeware Software. You can manage your task, have a address book, check mails, also create their offline copies. Just think if you just install this portable version and always use this Portable Version, also in your own Personal Computer. How easy and comfortable it will be to be along with all your important mails and data. Download Mozilla Thunderbird Portable Version from here. Again I would Like to repeat my line.. ” Who on the Internet reading this article is Unknown of the Features of VLC Media Player ” Just download this portable version of VLC Media Player and always keep it with you cause there are many damn heads around the world who think that GOM Media Player or K-Lite Media Player, etc heck are nicer than VLC Media Player. So always have your back up.. cause you never know, you may also come across a computer having just Window Media Player that too crashed and bugged. VLC Media Player Official Site. Download VLC Media Player Portable Version from here. I Guess you guys must have liked these portable apps and have downloaded them to use it from now. Some of the above apps have installation packages in which you have to select the directory or folder on your USB Flash Drive where the portable version is to be installed, some of the above apps just get downloaded in a .zip archive format, you just have to extract it into a folder on your USB Flash Drive and start using it. Also, If you Guys have many more Top 10 Quality Portable Apps that is Missed out from this list you can Start Commenting and we will for sure come up with more such tools.